You can swim all year round in the many pools and waterfalls. The sun is very strong in summer and winter. Heavy rains occur in the summer season but these rains don’t usually last for more than three days with plenty of sunny spells. In the tropical winter weather, the waterfalls can sometimes be less spectacular because of drought. The mountains are often called an oasis in the desert. Rainfall in the area averages about 1200mm ( 47 inches ) per year, but can vary between drought levels of 350 mm ( 14 inches ) per year, to tropical forest levels of 2200mm ( 87 inches ). 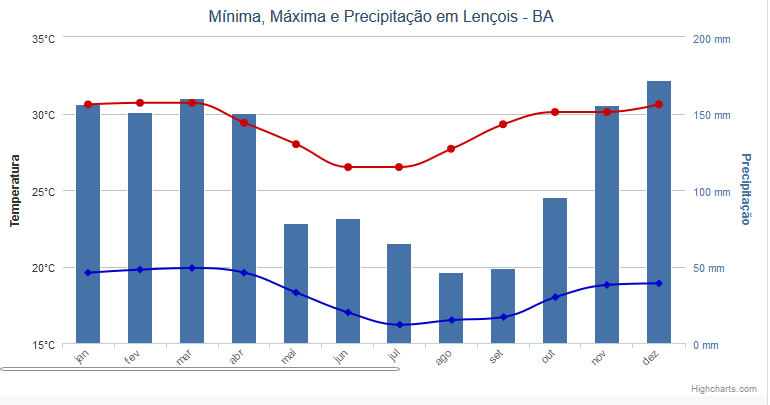 The summer rains are the heaviest in November, December and January with a secondary peak in March and April. The dry season usually lasts about 2 or 3 months in August, September and October.